When I was told that Sapporo Lion Group has opened Ginza Lion Beer Hall in Suntec. I was rather surprise. It shows how long I have not stepped into Suntec City. The place has really changed with new F&B establishments moving into the refurnished tower 4 of the mall. 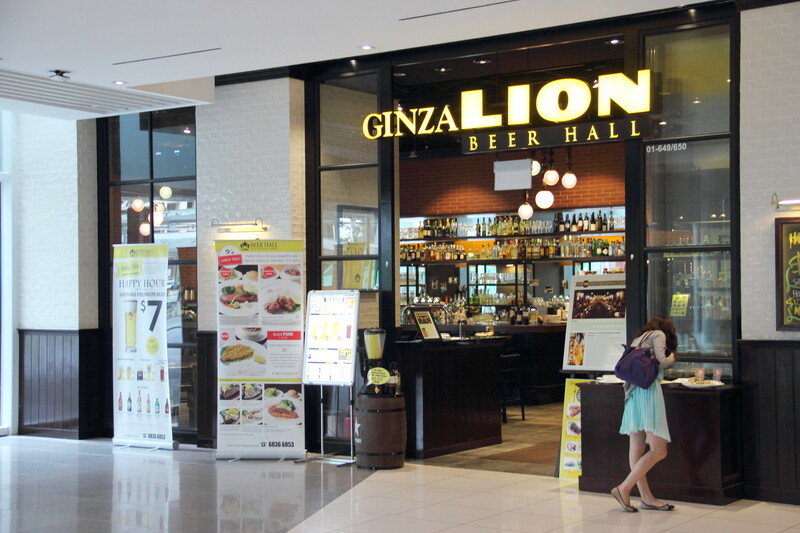 Ginza Lion Beer Hall started in Ginza, Tokyo since 1899 originally as the sales division of Sapporo Beer. Hence it is not surprise to find sapporo beer on the menu. 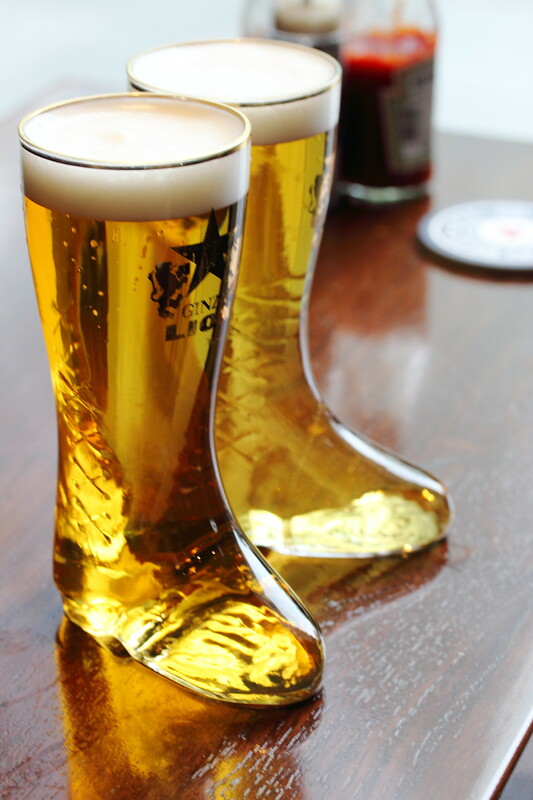 I thought the Sapporo Premium Beer served in a boot glass ($18) was rather interesting. So what do Japanese like to eat when they have a couple of drinks? 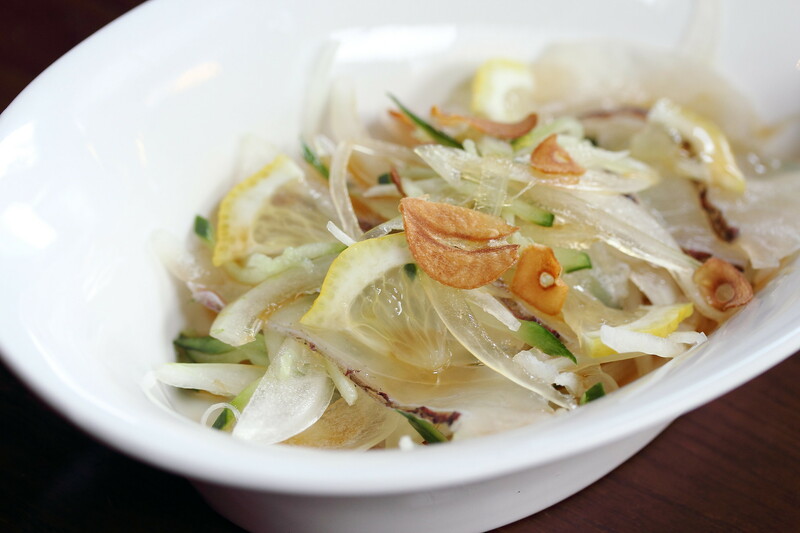 The Tai Lemon Ponzu ($12) which is seabream sashimi with sliced onion, fried garlic with lemon and shoyu sauce is not a surprise consisting Japanese loves their sashimi. 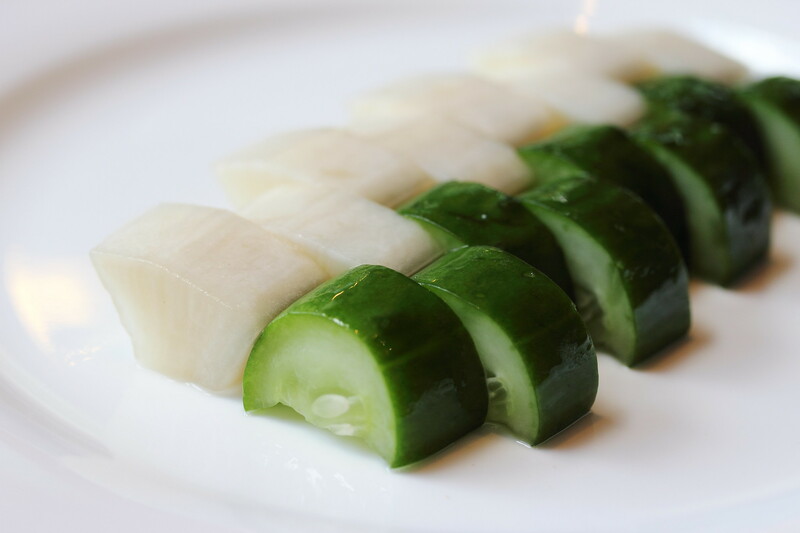 The light and refreshing flavours made it a pleasant companion for the drinks. The Asazuke ($5) which is homemade pickled radish and cucumber is very addictive with it sourness and some how help to neutralize that bitter aftertaste of alcohol on the palate. A new chapter in my food experience is the Gobo Karaage ($8). This is actually deep fried burdock, a type of root. It is actually pretty soft in texture. Not to be missed is their Chicken Wings (4/8pc for $10/$18). 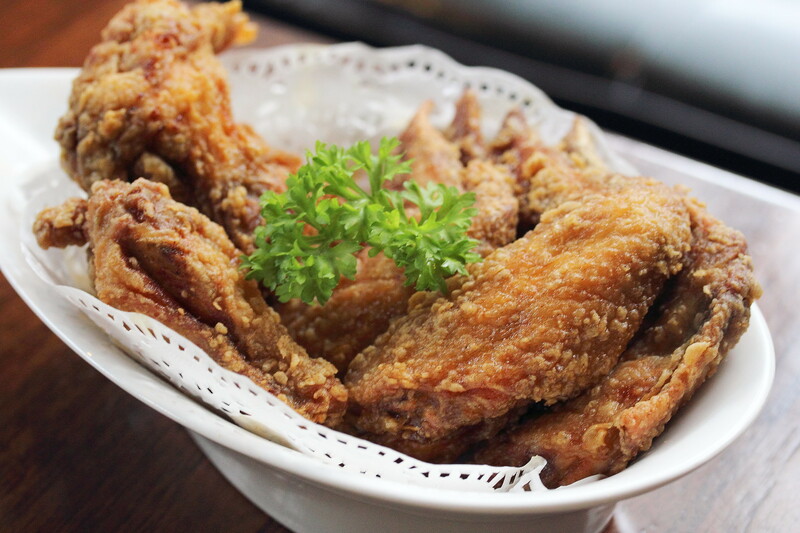 The deep fried chicken wing with white pepper and soy sauce is well infused with the loving seasonings. Definitely one of the best wings I have eaten for a long while. I like to call the Prawn and Mushroom Ajillo ($12), the Japanese interpretation of bruschetta. 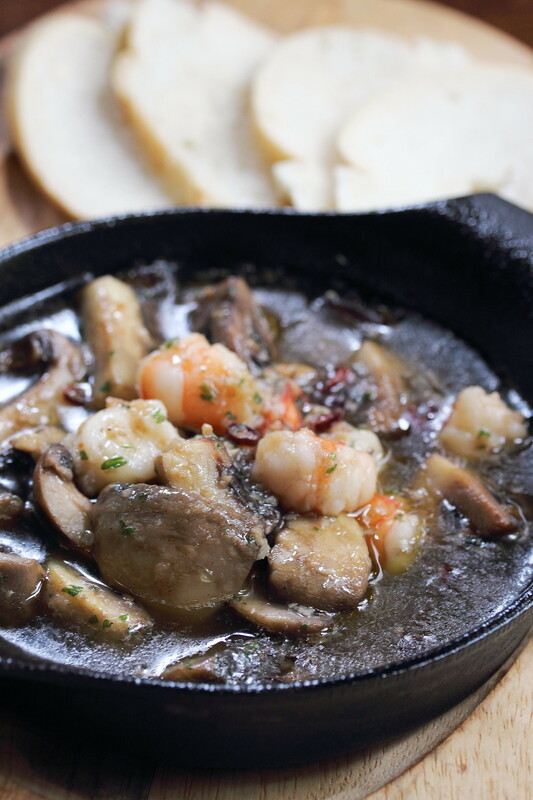 Two kinds of button mushrooms and prawn are cooked in garlic olive served in sliced breads. To eat, I placed the cooked mushroom and prawn on top of the bread and have them together. The beer hall not only serves bar food but it also offers a delectable selection of mains too. 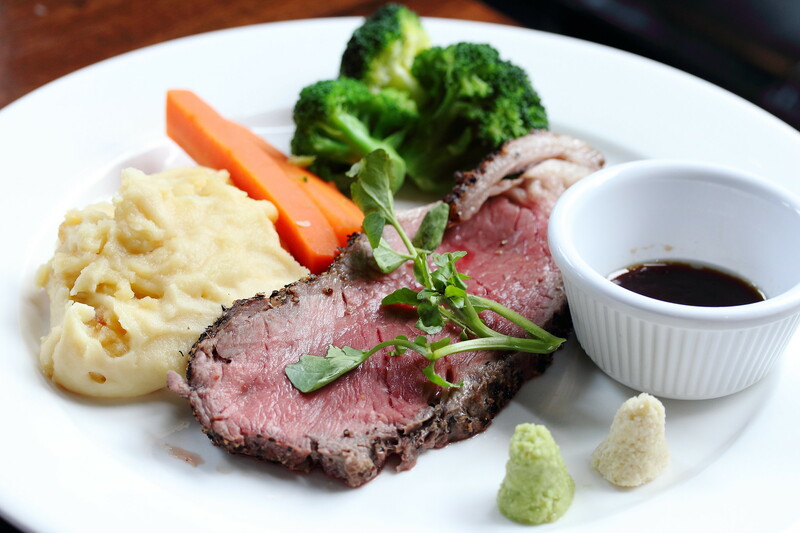 Not to be missed is their Roasted Black Angus Beef (200g/400g for $28/$50). Roasted to an inner pink with just salt and pepper, this is one beautiful and flavourful piece of steak cooked to perfection. 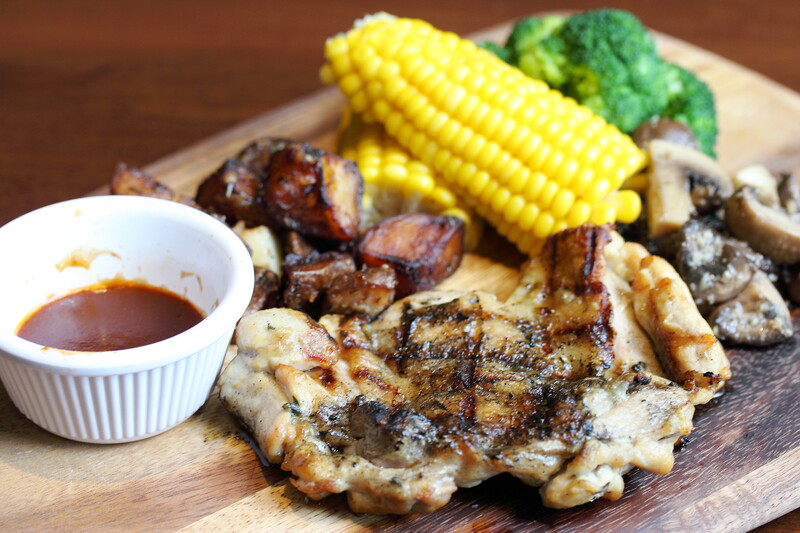 If you are not into beef, then the Grilled Chicken with Thyme ($18) is a good alternative. Grilled with thyme and served with rosemary potato, sauteed mushroom, broccoli and corn. Besides the juicy and tender chicken, the roasted rosemary potato caught my attention will its nice caramelized exterior. From the land we moved to the sea. 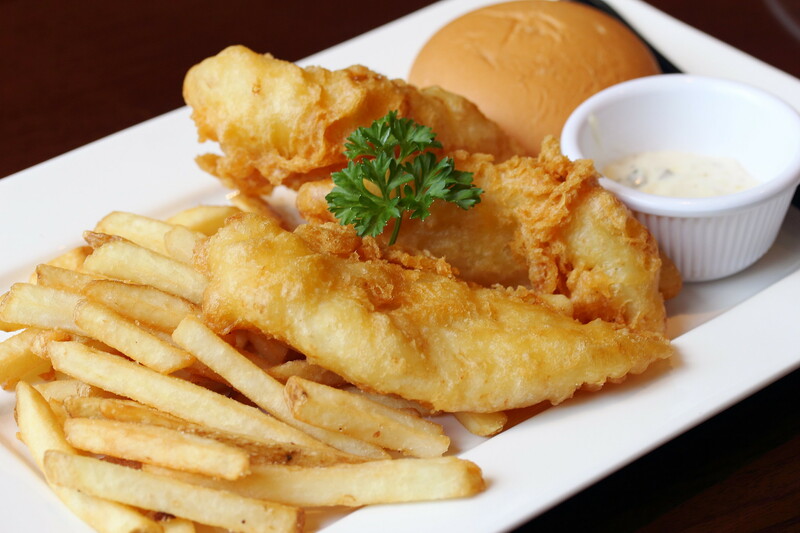 The Beer Batter Fish and Chips ($10/$18) served with french fries. The batter is thin and crisp but I could not really taste any trace of beer in the batter. For the fish itself, there were some mix reviews on the texture. 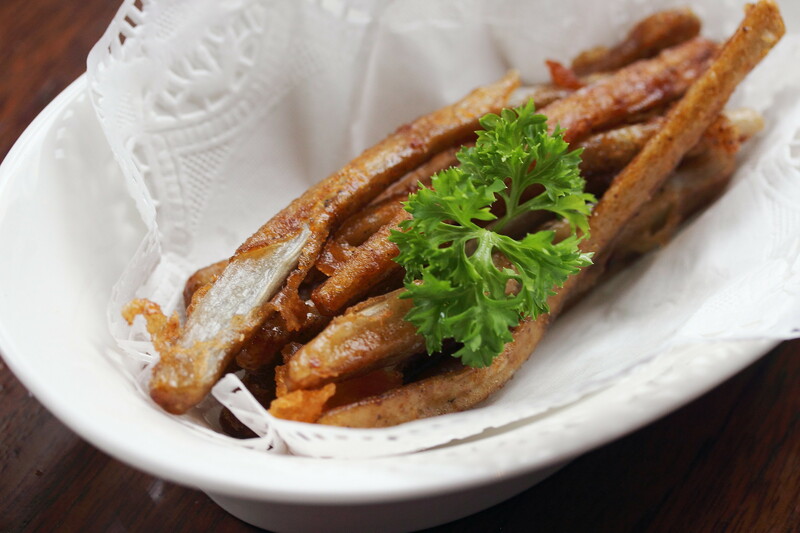 The dory was really soft and melted in the mouth coated underneath the thin batter. However some prefers a bit of bites to it, suggesting maybe the use of red snapper maybe a better choice. Nevertheless, this is still a good plate of fish and chips to order. 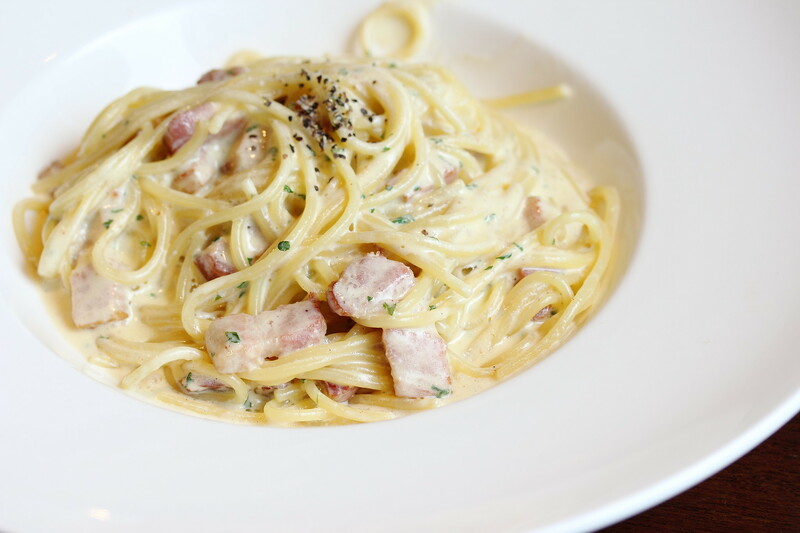 For something simple and quick especially for the working executive around the vicinity, the Pancetta Carbonara ($16) is worthy for a try. The creaminess coating around each strand of the pasta made it slurping good lifted by the saltiness from the Italian bacon. The perfect choice to go with a glass of beer would be the Cumberland and Arabiki Sausages ($16). 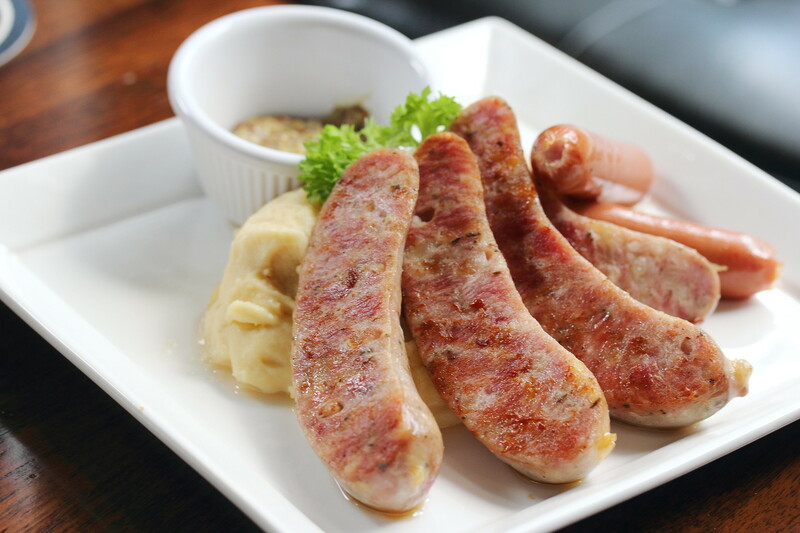 The plate comes with two pieces of in house recipe sausages as well as two pieces of Japanese herbed sausages served with mashed potato and sauerkraut. It can't really go wrong with these freshly made sausages. 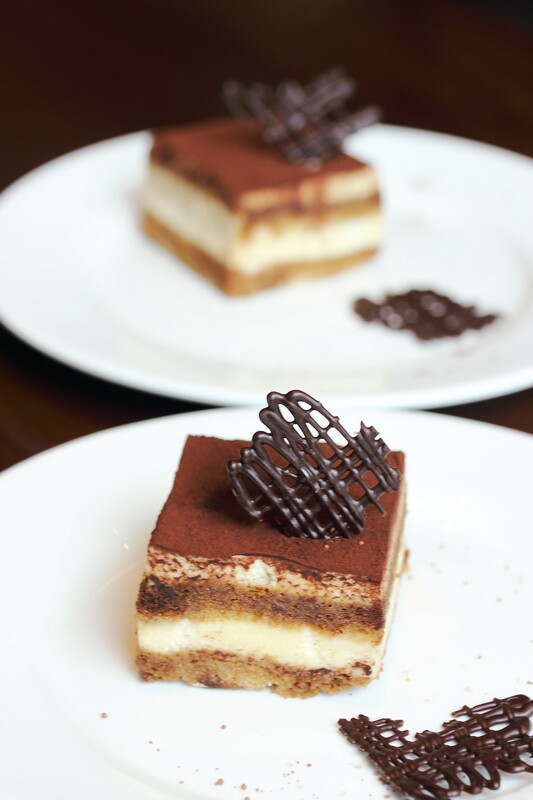 The menu also offers a couple of desserts but it definitely is not their forte. Both the Tiramisu ($8) and Creme Brulee ($8) were decent but I probably would just spent the money on another round of beer. Ginza Lion Beer Hall not only carries Sapporo beers but also alcohol from various countries such as Germany, Australia and Belgium. 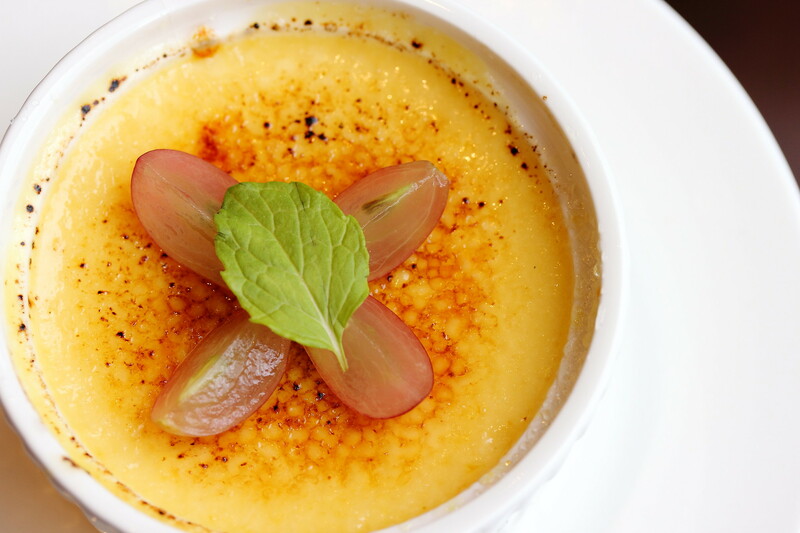 Together with a delectable selections of snacks and mains, this is a perfect place to chill out with a group of friends.